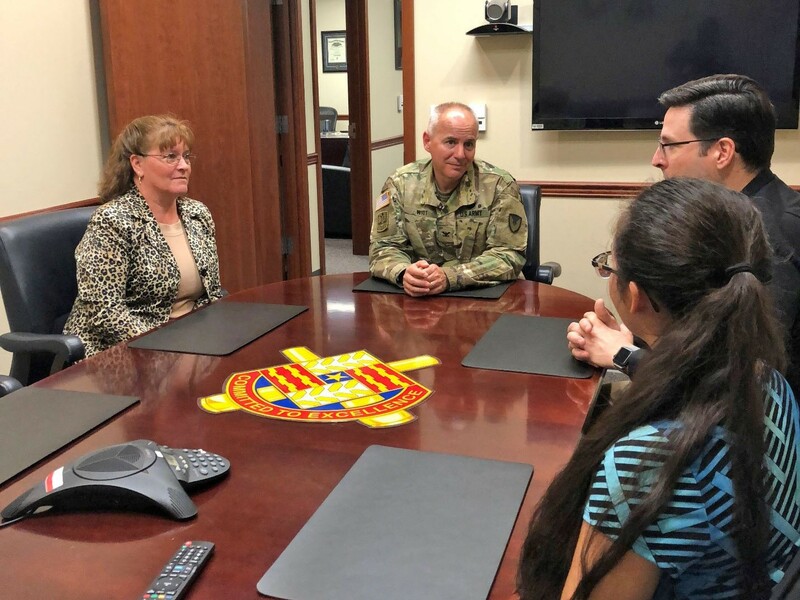 As part of the Army team, one of the most important things we can do is prepare the next generation of leaders. In order to do this, it is sometimes necessary to get outside our comfort zone and engage with students who are in the colleges and universities around us. 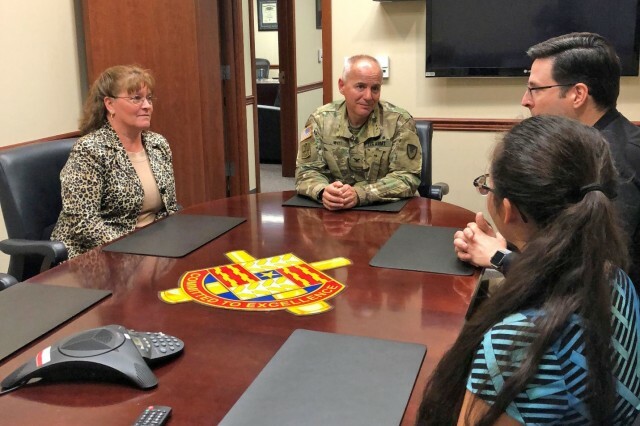 A perfect opportunity for this type of engagement is through the Army Volunteer Corps program, which is designed to help potential volunteers find local opportunities that benefit the Army community. Below is a brief story of one such volunteer written in the volunteer's own words. 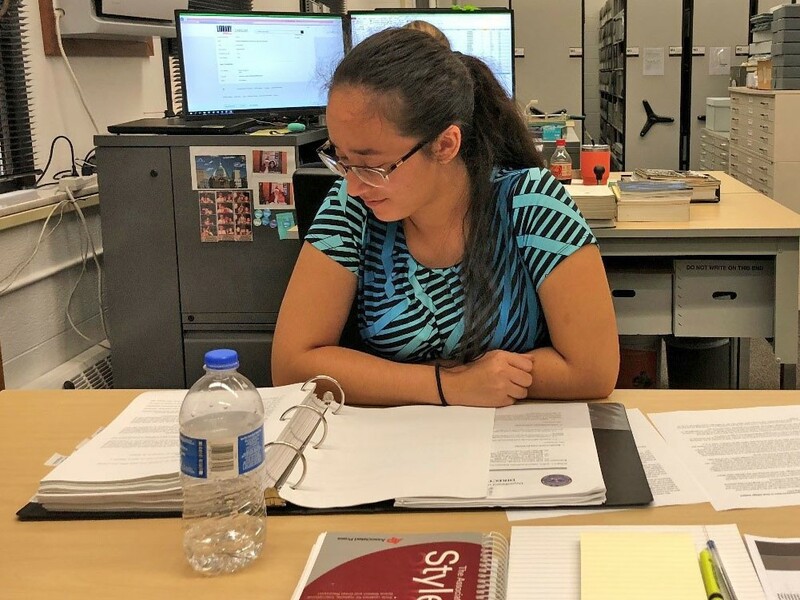 Makayla Ramos, the daughter of U.S. Army Tank-automotive and Armaments Command employee Robert Ramos, is a student at Macomb Community College. 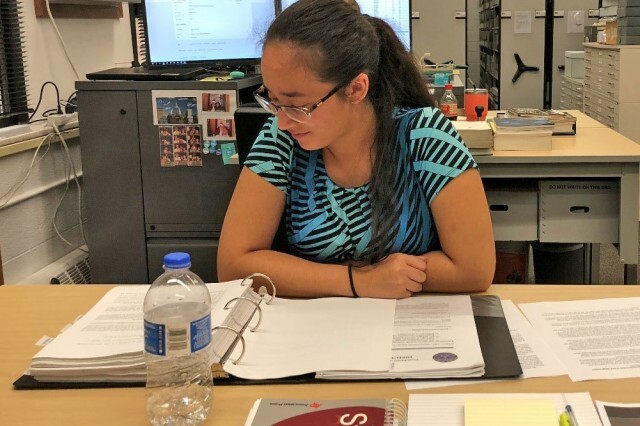 She will be shadowing the TACOM Public Affairs team over the next three months. Hello, my name is Makayla Ramos, and I am currently enrolled in Macomb Community College. I am part of the Early College program there, and have been for the past two years. The program requires one to apply in their sophomore year of high school, and they must past the entry-level tests for math and English. For my high school in particular, I also had to be lucky enough to have my name drawn, because there were lots of capable students applying. I won the luck of the draw and spent the next two years splitting my classes at Dakota High School and Macomb Community College. The program is completed after a 13th year consisting of just Macomb Community College classes. I am in that 13th year currently, and I will receive my Associate of Arts this spring. One of the requirements for the Early College program is to do a job shadow/internship every year of the program. The amount of hours required increases with every year of attendance. This year I need to fulfill 40 hours, and I have chosen to do those hours at the public affairs office at TACOM. I hope to see what a job in public affairs is all about. Since a large part of my future outside of learning a foreign language is undecided, I wanted a place that would require me to learn skills that I could potentially apply in a multitude of jobs. Skills such as writing and communication are always needed, but I feel that being here will allow me to work on those skills, which will be critical if I want to be a translator. After the completion of my associate's degree in the spring, I plan to transfer to the University of Hawaii at Manoa. I hope to pursue a bachelor's degree in Korean. The program at the University of Hawaii is unique because it is the longest-established Korean program in the U.S. Going to the University of Hawaii will also allow me to take part in their study abroad opportunities in South Korea. It may take a while to fully grasp the language and culture, but I intend to work hard until I do. My end goal is to someday be a translator. However, I have not decided yet on what type of translating I want to do, whether it be technical, entertainment, etc. I hope that the experiences I realize here can be good stepping-stones to helping me achieve my future goals and aspirations, and that any skills I learn here will be applicable in one aspect of my life or another. Tank-automotive and Armaments Command is U.S. Army Materiel Command's ground and support systems logistics and sustainment command, responsible for the synchronization, integration and delivery of ground and support systems materiel readiness across the Army to defend our Nation, assure our allies and deter potential adversaries. TACOM's Integrated Logistics Support Center facilitates warfighting readiness for U.S. forces by executing repair parts planning and supply chain management for over 3,500 weapon systems. These systems form the core of America's ground combat capability. When the force needs critical readiness driver components delivered, whether at home or abroad, it depends on TACOM. TACOM's nearly 20,000 highly skilled and uniquely qualified professionals around the world are critical to supporting Army readiness. The personal commitment of TACOM's workforce ensures our men and women in uniform receive the support they need and deserve. TACOM's six arsenals, manufacturing centers and depots manufacture and reset ground and support equipment, generating readiness and operational capability throughout Army formations as part of the Army's Organic Industrial Base. When the force needs equipment or parts manufactured, repaired, upgraded or modernized, industrial artisans from the Army's OIB deliver. The Detroit Arsenal, home to TACOM headquarters, is the only active-duty U.S. Army installation in the tri-state (Michigan, Ohio and Indiana) area. Detroit Arsenal and its 7,500 Michigan-based personnel contribute billions of dollars in economic impact to the state's economy each year.